Lately I had the pleasure to experience Blu-ray - this time with the appropriate equipment, that is a HTPC, Full-HD LCD TV, AV-Receiver and high-quality speakers. To be honest, it was stunning. Both documentaries mentioned below are great - not only in terms of audio/video quality, but also when it comes to the content. It's very interesting to learn about the Chinese culture and history (on two Blu-ray discs) and not less fascinating to get to know the "Yellowstone National Park" without leaving your couch. And all of this with amazing pictures of beautiful spots. Maybe you will get hooked, too. 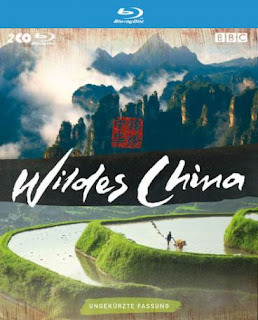 From the publisher (Wild China): The amazing scenery and wildlife of China have always been closed to the prying cameras of Natural History filmmakers – until now. Given unprecedented access to this vast country, the renowned BBC Natural History Unit has produced a series full of breathtaking footage and amazing discoveries. 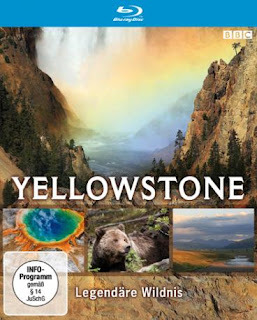 From the publisher (Yellowstone): Larger than some American states, Yellowstone National Park is one of the world’s last and most spectacular wildernesses. It is also home to some of the richest wildlife beyond the plains of Africa. Follow the fortunes of America’s wildlife icons as they face the challenges of one of the most extraordinary wildernesses on Earth in this three part natural history spectacular released on DVD from 23rd March.